It’s the last week of school in our district, and my own children have been through tremendous transitions this year. In the hands of less capable educators, this week might have felt very different for us. I have had school years as a mom — and I’m sure you teachers and students have had them, too — when you’re just grateful the year is OVER. Scrounging for a scrap of fabulous with which to redeem the missed opportunities can be emotionally exhausting. But this year, I could fill a book with victorious vignettes. I don’t know how I didn’t hear of it sooner, but the responsive poem by author-advocate Taylor Mali regarding “What Teachers Make” struck a chord deep in my heart when one of my daughter’s classmates shared excerpts from it at their year-end celebration this week. And as I wrote out individually the twenty (yes, when you have two kids with special needs, the numbers add up!) notes for teacher gifts, there was one in particular that got the waterworks going. To understand why, I have to back up the timeline. My son started high school this year, and at the new parent orientation the preceding winter, I was expecting to understand how my boy would fit into the school culture. His autism and mental health challenges can be obstacles to social acceptance, but when the social emotional conditions are favorable in a school community, they generally are not immoveable barriers. After that orientation, I left feeling as if students like my boy were either an afterthought or no consideration at all in the school culture. There was plenty talk of AP courses and athletics, but very little about different abilities. There was talk about embracing racial and socio-economic diversity, but none about neuro-diversity. Contacts with key people at the school and district were promising, but everyone’s busy. And this isn’t their mission. But it is mine, as a parent-professional. So I got busy. This wasn’t a year of jumping into the social emotional current with both feet. It was a year of studying the river and dipping in toes. It was a year of learning the landscape and befriending the natives. And we found a tribe for my boy. So the thank you note that I wrote to this teacher, as the advisor of my son’s newfound tribe, was the one that made me cry. Because, you see — he helped create a community of acceptance for this one kid. This one student who I thought might be forgotten. Left out. Not included. But he was accepted and included. And it makes a difference. Forever. I know the good administrators and educators like this one never stop thinking and planning. 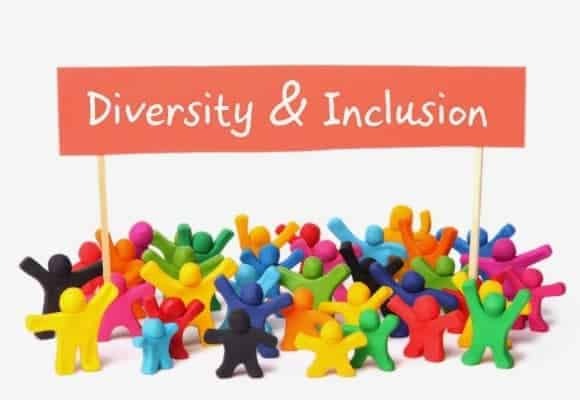 So for all of you difference-makers out there, really consider this summer how you can be more inclusive of students with neurologically diverse experiences. Because there are a lot more moms like me who love nothing more than a good end-of-the-school-year cry. Hi Chelsea– loved your blog! As always, you are so articulate and passionate with your mission. You and your beautiful kids are truly an inspiration!